The Ramayana in the Philippines is called 'Maharadia Lawana' which means king Ravana. The Philippines' famous dance 'Singkil' is based on the Ramayana. 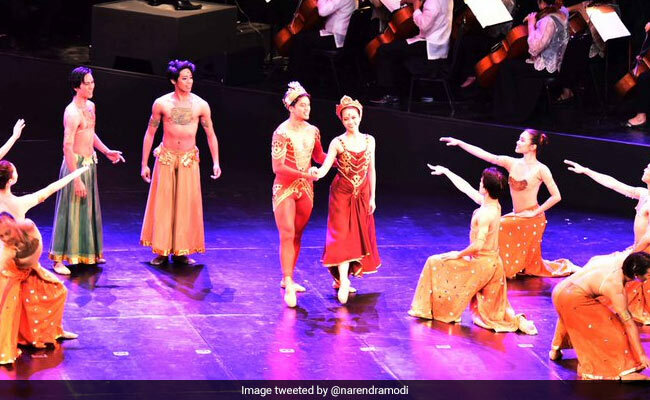 Manila, Philippines: A musical version of the epic Ramayana was one of key attractions at the grand opening ceremony of the two-day-long ASEAN summit in Manila today, reflecting India's cultural linkages with the Philippines and several member countries of the 10-member bloc. Prime Minister Narendra Modi, US President Donald Trump, Chinese premier Li Keqiang, Japanese Prime Minister Shinzo Abe and several other leaders from ASEAN's partner countries attended the opening ceremony at the highly fortified Cultural Centre in this bustling metropolis. The Ramayana performance was presented by ballet company Rama Hari and it drew loud applause from the audience. "Partnering for change, engaging the world. PM attends the opening ceremony of the 31st @ASEAN Summit; an important pillar of India's #ActEast policy," External Affairs Ministry Spokesperson Raveesh Kumar tweeted. PM Modi also tweeted about the "historical bonds and shared heritage" between India and South-East Asia. The ASEAN leaders later began deliberations at the summit which is taking place under the shadow of China's growing military build-up in the resource-rich South China Sea. China claims sovereignty over all of the South China Sea, a huge source of hydrocarbons. However, several ASEAN member countries including Vietnam, the Philippines and Brunei have counter claims. India has been supporting freedom of navigation and access to resources in the South China Sea in accordance with principles of international law, including the 1982 UN Convention on the Law of the Sea. The ASEAN have been pushing for a legally binding code of conduct for all stakeholders in the South China sea but Beijing has been opposing such a framework asserting that it will resolve the dispute with respective countries under bilateral mechanism. PM Modi will attend the ASEAN-India summit tomorrow.